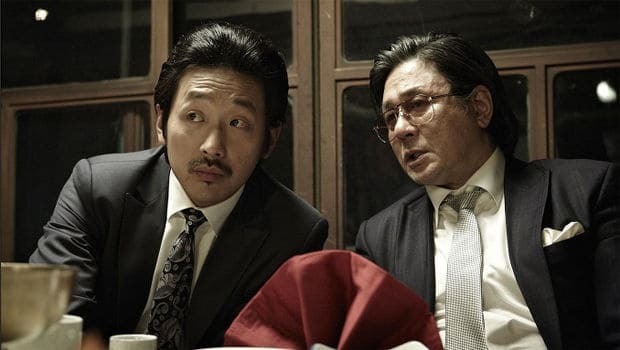 The film is set in the Korean port city of Busan during the reign of organized crime in the 80s and the subsequent declaration of war toward it in the 90s by President Roh Tae-woo. Choi Ik-hyun is a corrupted Busan customs officer, who is not averse to taking bribes or pilfering goods. Eventually he discovers a shipment of crystal meth, which leads him to kingpin Choi Hyung-bae, who is also a member of the same Choi family clan. Due to that tie and their common interest, the two of them form a peculiar alliance, since they are radically opposite characters, both in appearance and character. Yoon Jong-bin presents a highly realistic and entertaining depiction of the crime world of the aforementioned decades, and creates a truly masterful crime thriller with constant plots, intrigues, betrayals, and violence. The usual narrative of the rise and fall of the criminal is present once more in this film, but Jong-bin manages to transcend it by making a clear and somewhat satirical commentary on the era. Furthermore, the fact that he presents, from the beginning, the protagonists and the rest of the crime world, as pitiable is another original notion, since the usual case for the gangsters is to appear magnificent in the beginning. He bases much of the film upon the differences of the two main characters, with Choi Ik-hyun being annoying, filled with pettiness and ridiculous looking, and Choi Hyung-bae being the exact opposite, and their complex relationship that becomes even worse during the prosecutions in the 90s. Both of the characters, though, are actually evil and prone to walk over dead bodies in order to accomplish their goals. Their constant antagonism is, actually, the center of the film. Choi Min-sik is magnificent as Choi Hyung-bae, capturing both the comical and the serious side of his character, and Ha Jung-woo as Choi Hyung-bae is quite persuasive, to say the least. The editing is another point of excellence, particularly because Kim Jae-beom and Kim Sang-beom manage to portray the overlapping chronological structure in an easily understandable way. The cinematography is adequate but not as impressive as in other gangster films such as “A Dirty Carnival,” although Go Nak-seon’s purpose is to be in par with the realism that permeates the film instead of presenting stylized sequences. 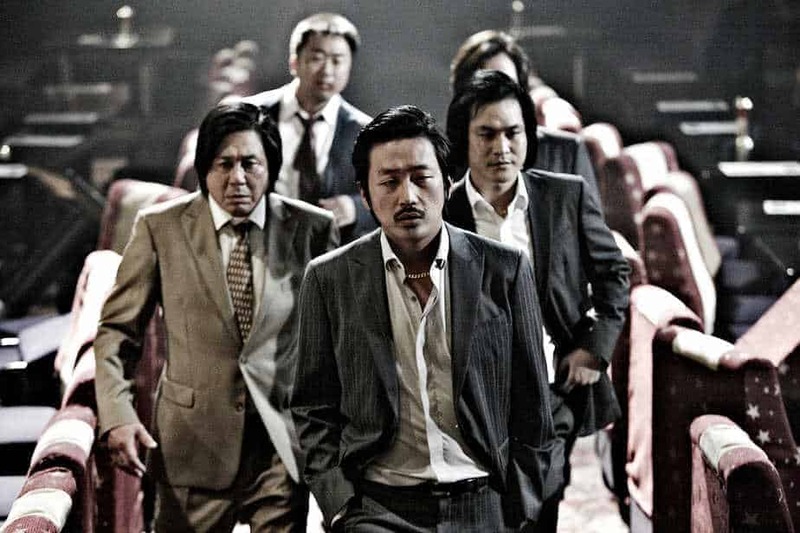 “Nameless Gangster” is a great film that will not disappoint any fans of crime movies or thrillers.